State agencies and the companies they contract with must use the E Verify system to screen for undocumented workers, Attorney General Ken Paxton said in an opinion Thursday. Proponents of tougher state-based immigration enforcement in Texas won a small but significant victory on Thursday. In an opinion issued Thursday afternoon, Attorney General Ken Paxton said a state Senate bill that went into effect last year does not supersede part of former Gov. Rick Perry’s 2014 executive order requiring state agencies and the companies they contract with to use the E-Verify system. The system, managed by U.S. Citizenship and Immigration Services, screens for undocumented workers by comparing the information that potential workers submit to an employer with records maintained by the Department of Homeland Security and the Social Security Administration. Senate Bill 374 by state Sen. Charles Schwertner, R-Georgetown, codified the portion of Perry’s order that required state agencies to use the system, but didn’t address applying it to contractors or subcontractors. That led to some confusion last year about which rule to follow. In September the Texas Department of Transportation asked Paxton’s office to clarify the issue after an attorney and partner with Foster Global, a Houston-based immigration law firm, said one of her clients was told by TxDOT that it was still enforcing the Perry mandate on contractors. Perry’s order made clear that his action would stand “until modified, amended, rescinded or superseded by me or by a succeeding governor.” It also only applied to state agencies under the purview of the governor’s office. When asked last fall about the confusion, Texas Gov. Greg Abbott said his office would wait for Paxton’s opinion. The Senate bill also expanded the scope of the state agencies required to use the verification system when hiring. Perry’s order also caused some confusion because it initially mandated that current employees needed to be run through E-Verify. 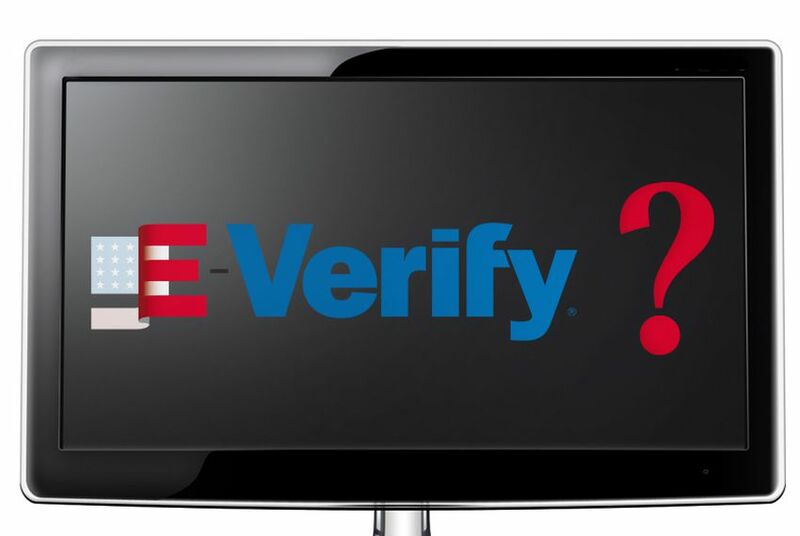 But according to federal guidelines, verifying current employees’ information through E-Verify is not allowed. Perry’s office had to subsequently issue a clarification.